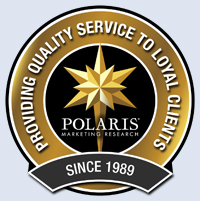 Polaris Marketing Research, Inc. provides information to increase marketing effectiveness. “Especially in tough economic times, customers are looking for brands that deserve their loyalty, innovative new products, and effective and sincere customer service," says Debra Semans, Polaris senior vice president. In this tough economic environment, numerous measurements of marketing programs are showing a declining success, Polaris Marketing Research, Inc. (polarismr.com) Senior Vice President Debra Semans reports. Copernicus Marketing Consulting’s own research shows that the Return on Investment for most marketing programs ranges between 0% and 3%. The MMA (mmaglobal.org/favicon.ico) finds that $54 are returned for every $100 invested in advertising. Further, taking Consumer Package Goods (CPG) advertising expenditures out of the measurement yields a return of $87 for an investment of $100 in all other types of advertising. The Marketing Science Institute (msi.org) reports that a 100% increase in advertising expenditures yields a 1% increase in sales. Nielson (en-us.nielsen.com/home) reports a 95% failure rate for all new product introductions. The University of Michigan (umich.edu) has discovered that customer satisfaction has fallen below 77%. Polaris Marketing Research has worked with many clients to improve customer satisfaction, increase the probability of success for new product introductions and to build and enhance brands. “Marketing research is an invaluable resource to marketers in all activities,” reports Polaris president Jan Carlson.